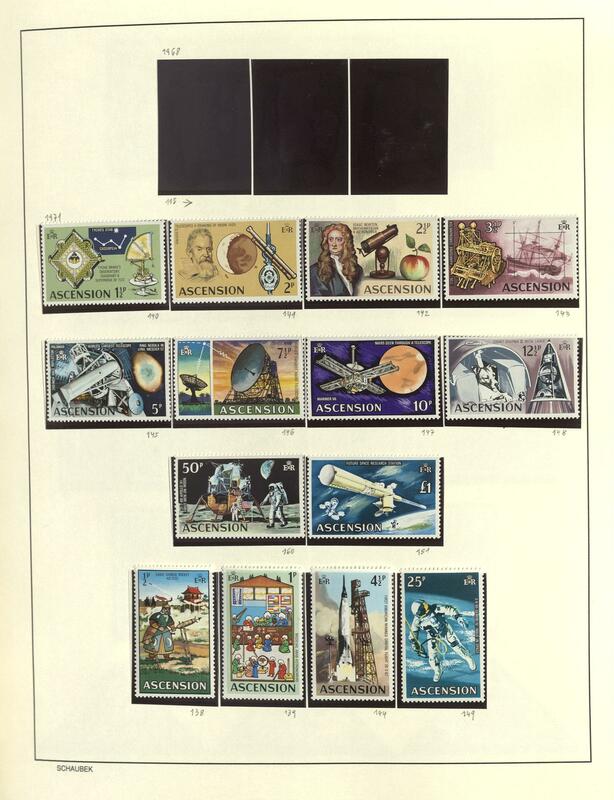 1J ✉/⊙/ / German army postal service / island post II. 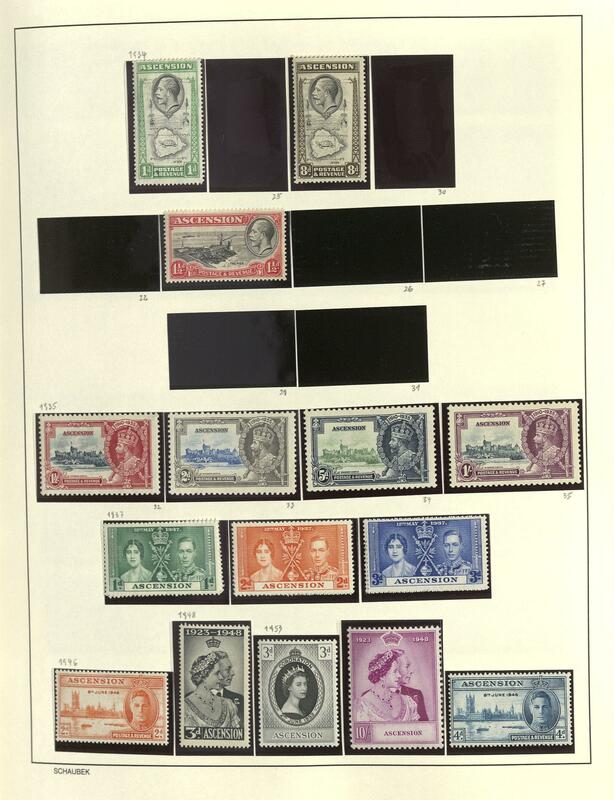 World war - fantastic collection in two albums formed with numerous rarely stamp issues, as well covers, as well a strong part island post, including much legitimate postage, high-value frankings as for instance also two commercially used letters the Christmas stamp 1944, furthermore also scarce radio postcards, East Prussia army postal service, sought cancellations and so on. An impressive collection with outstanding substance! 12E ✉ P2a German army postal service II. 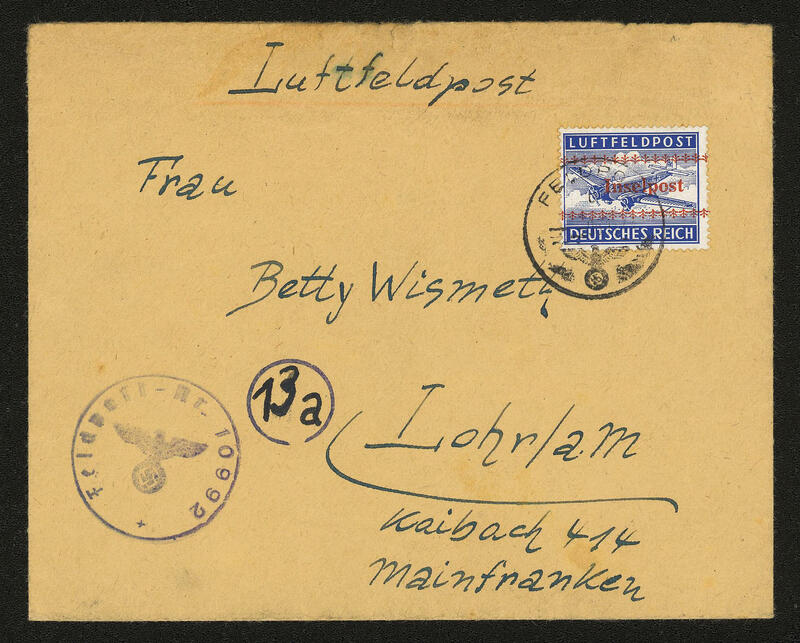 World war - interesting collection fieldpost card and covers, almost exclusively from the II. World war. 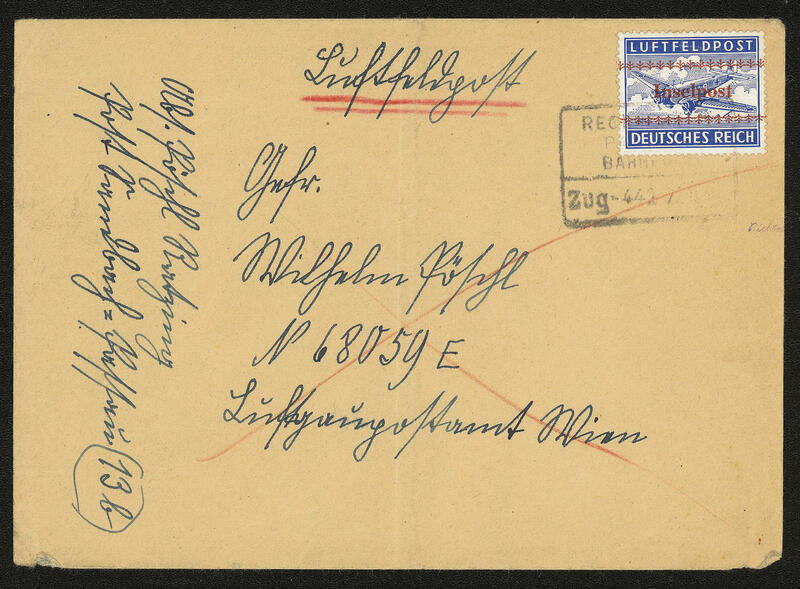 As well interesting documents as for instance a number of fieldpost card from birch bark, East Prussia fieldpost card unused with photo certificate Gabisch in perfect condition (Michel no. P2 a) and further documents. Please have a look! 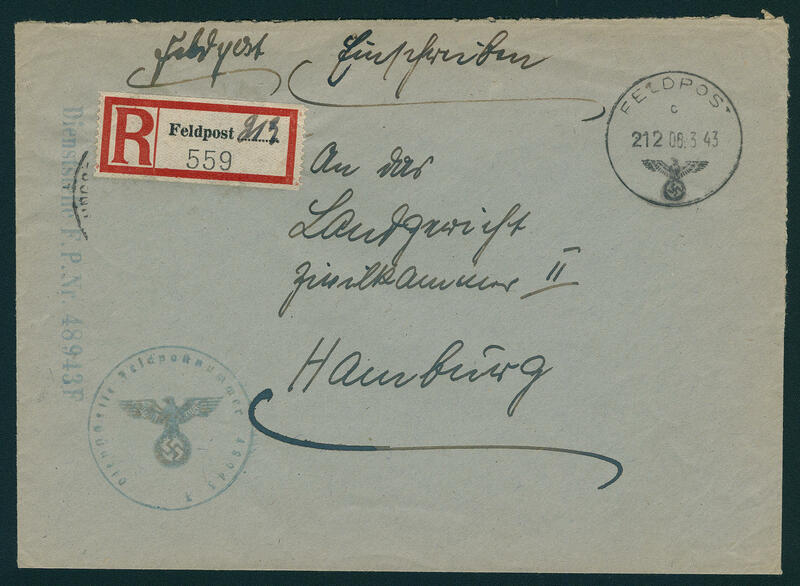 72 German army postal service II. 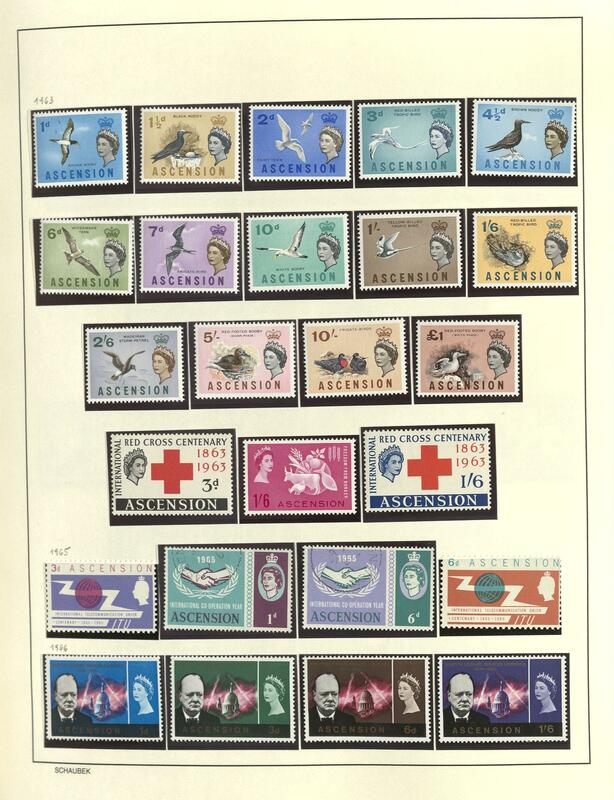 World war - interesting mint collection the fieldpost stamps II. 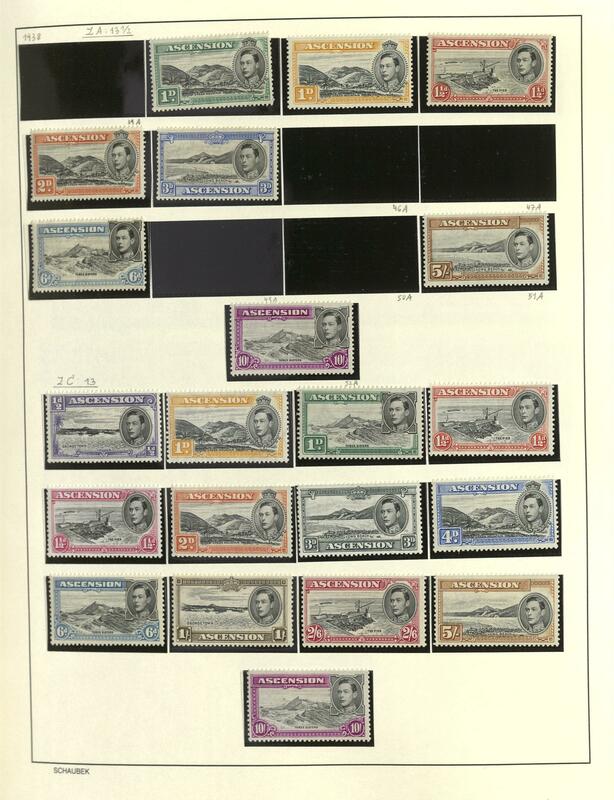 World war on lighthouse hingeless preprinted pages, slightly mixed condition, with superb pieces. 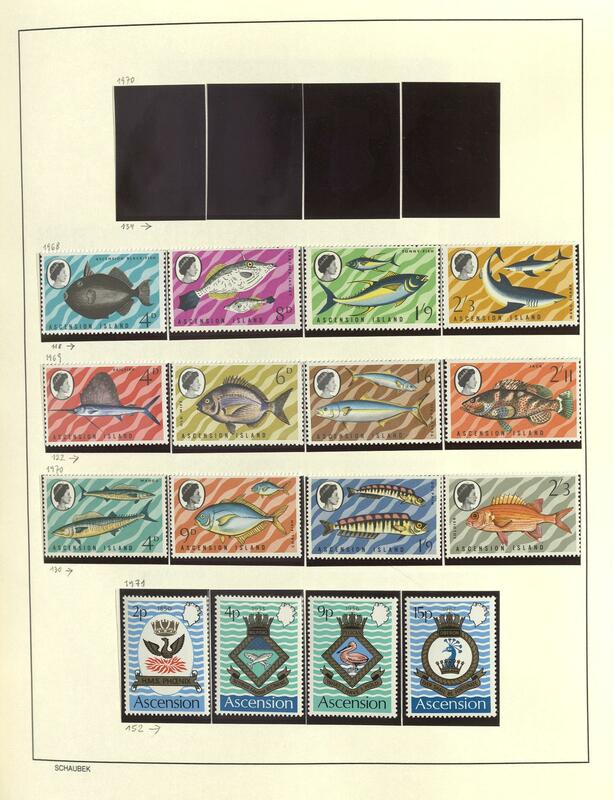 Also the Tunis small package stamp unused in the horizontal pair, U boat Hela unused, Christmas stamp 1944 unused expertized Rungas, as well island postage stamps. Interesting object! 97J ✉ German army postal service II. 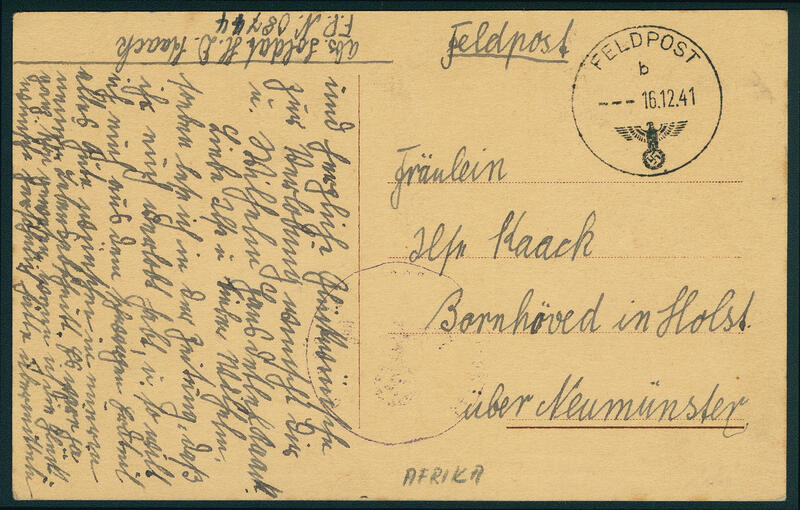 World war / North Africa - exceptional interesting and extensive collection fieldpost service letters of the AFRICA-CORPS in four albums accommodated. As well numerous extraordinary documents, scarce cancellations, registered, mixed divisions, companies and so on. An extraordinary object, like it in this richness and variety only very difficult to collect is. In total includes the collection over 180 documents. 97K ✉ German army postal service II. 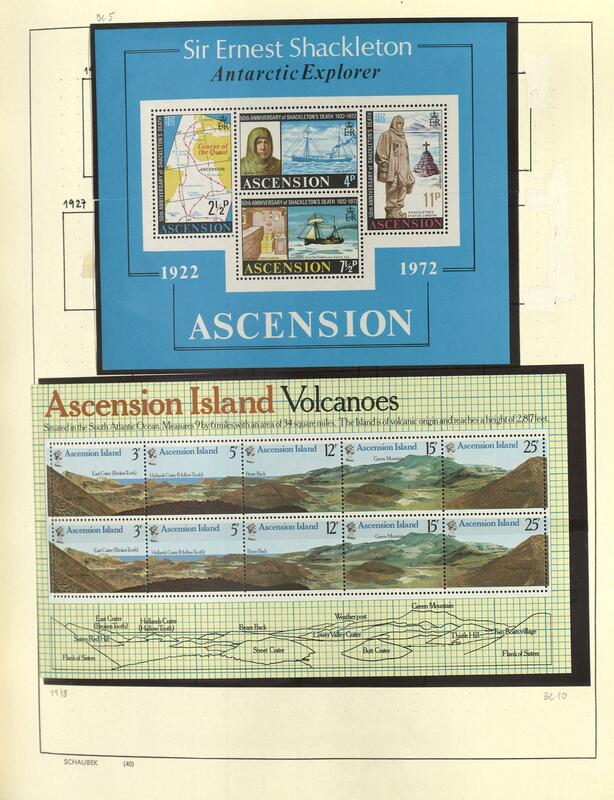 World war / island post - interesting collection from fieldpost letters the island post with without prepaid postage copies, as well also with island postage stamps in the ring binder. As well good examples, interesting cancellations and frankings, registered, forerunner and so on. A magnificent object! 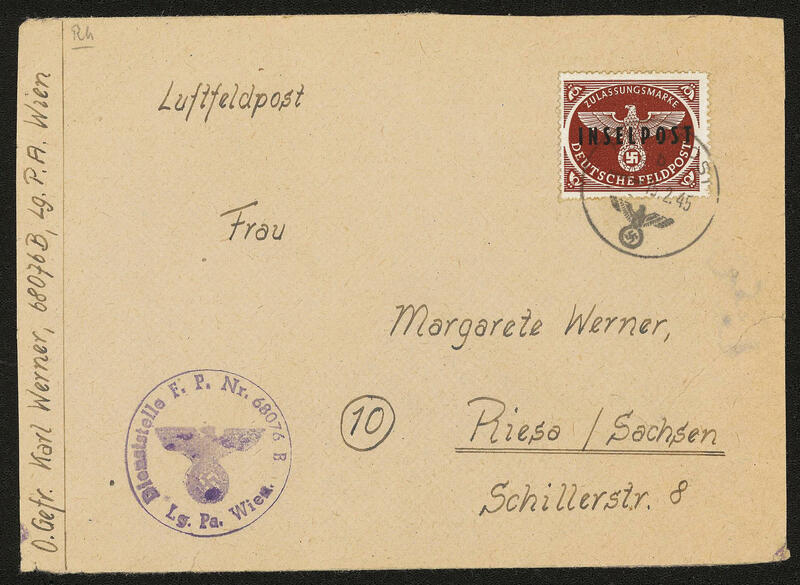 202 / German army postal service II. 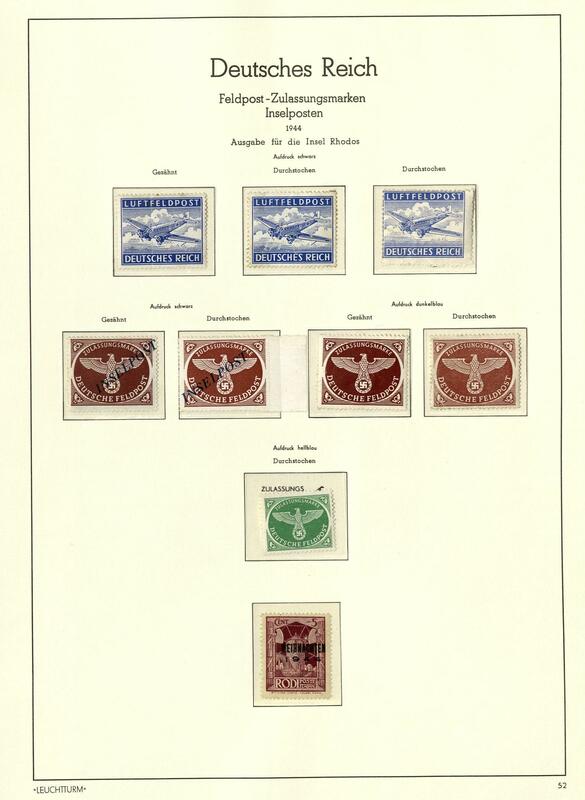 World war - nice collection fieldpost stamps II. 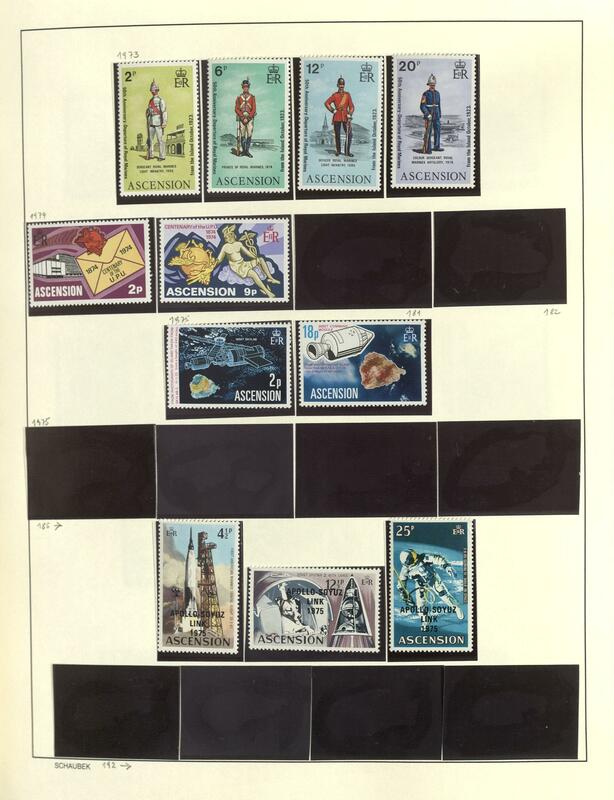 World war, on Lindner hingeless printed form, also the Tunis small package stamps unused with original gumming, submarine Hela unused, Courland set mint never hinged expertized van Loo BPP and so on. A beautiful object! 234 ✉ German army postal service II. 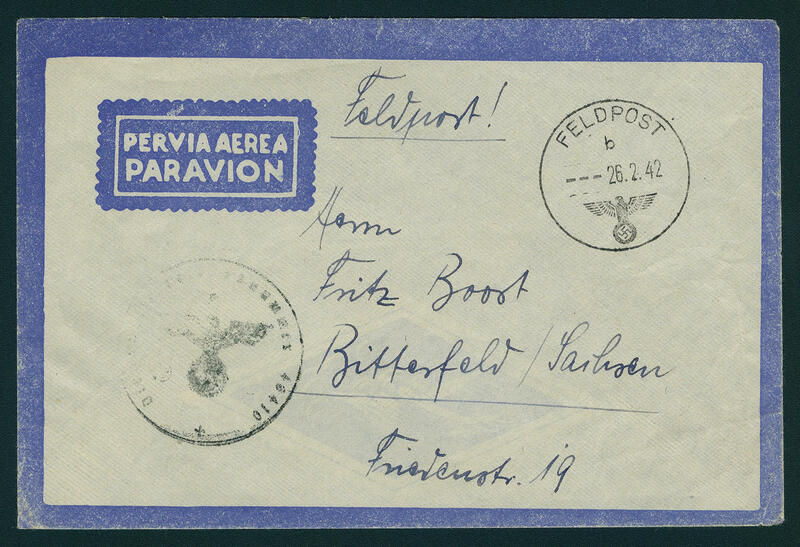 World war - interesting lot of approximate 300 fieldpost letters and -cards from the II. World war in the box. 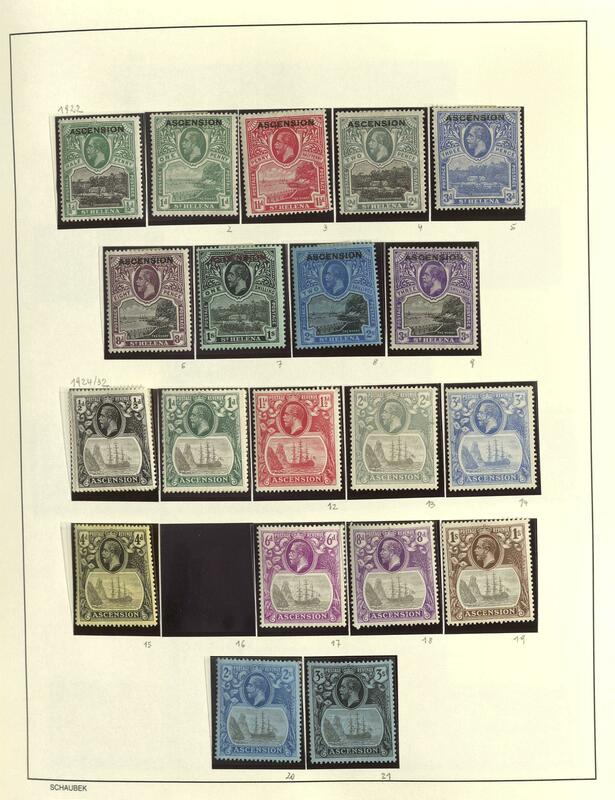 Thereby many interesting documents, various units of troops, letter cancel, air fieldpost letters with single- and multiple franking, registered, a franked island post letter and so on. Treasure trove! 238 ✉ German army postal service I. 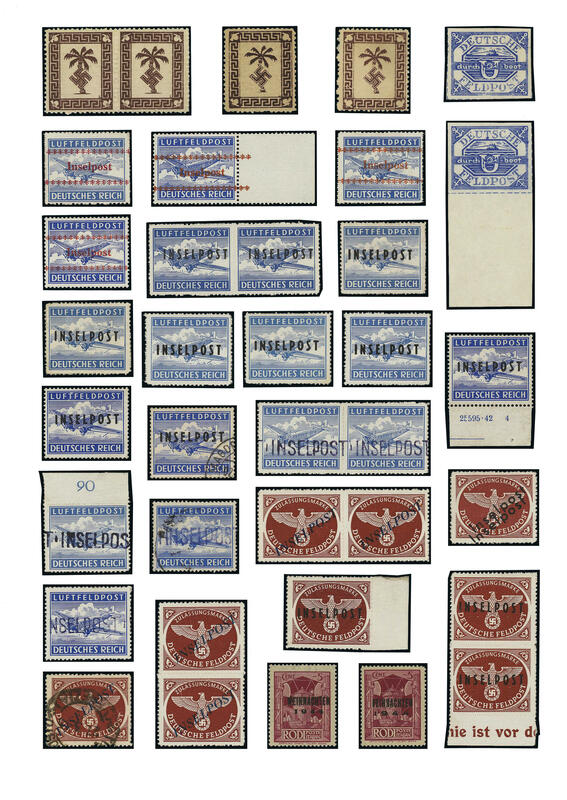 World war - interesting lot of approximate 280 cards and covers, all army postal service I. World war. 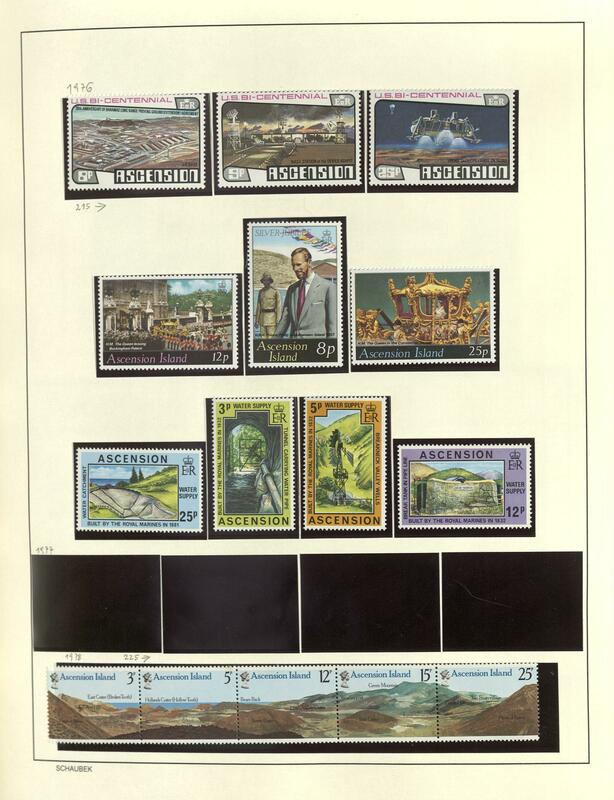 Thereby many interesting documents, numerous various cancellations, picture postcards and so on. Treasure trove for specialists! 240 ✉ German army postal service II. 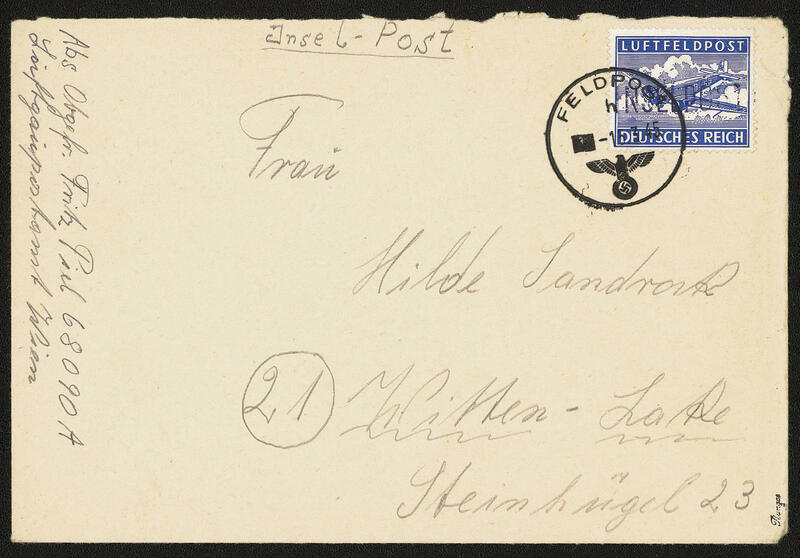 World war - interesting lot of approximate 300 fieldpost letters and -cards from the II. World war. 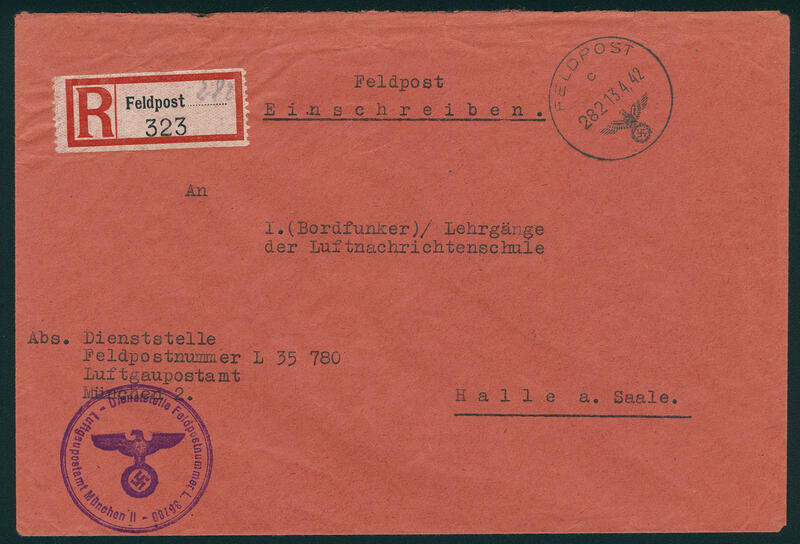 Numerous interesting documents, various cancellations, mixed units of troops, also franked covers and so on. A rich treasure trove for specialists! 1427 ✉ German army postal service II. 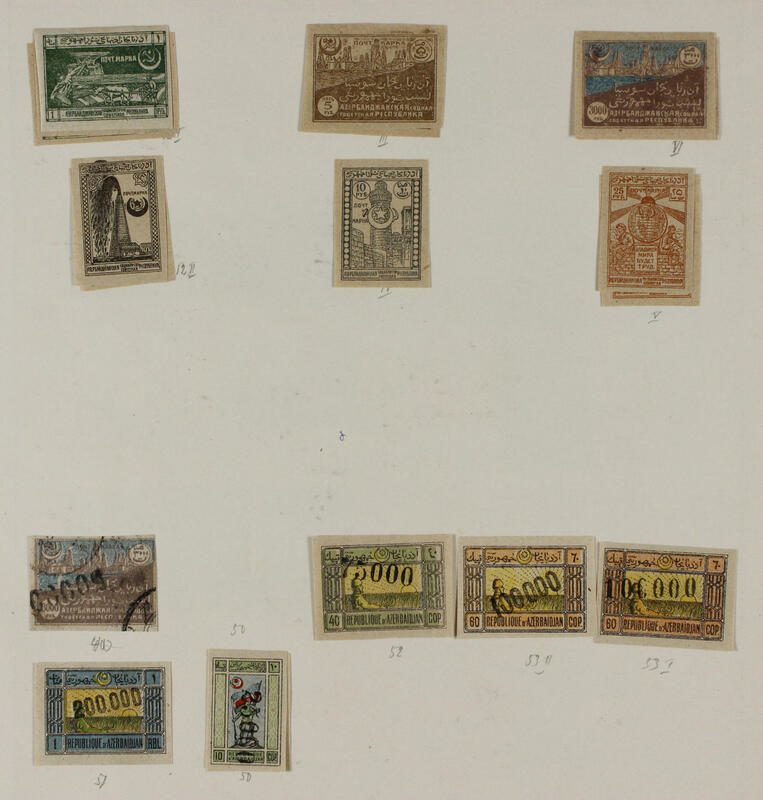 World war - interesting inventory from approximate 500 covers and cards packed in a carton. 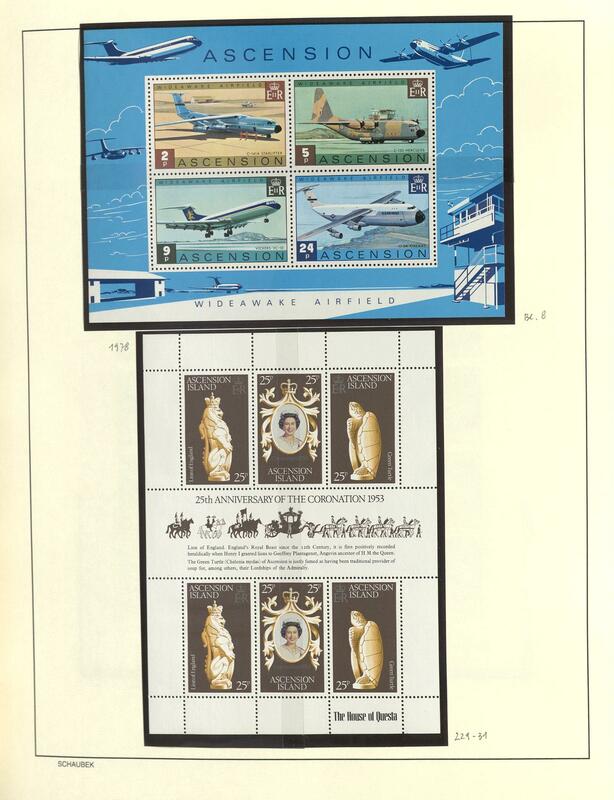 Thereby many interesting documents including air fieldpost, additional cancellation and so on. Treasure trove for specialists! 1428 ✉/∆ German army postal service II. 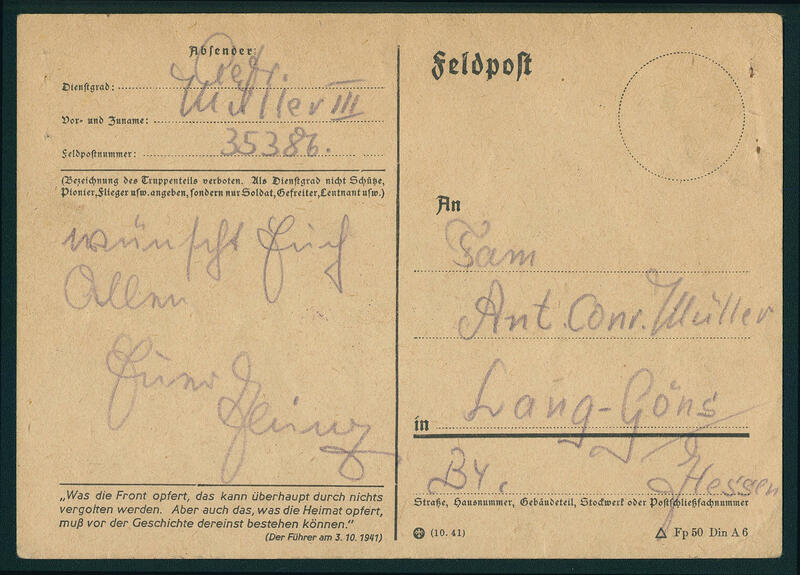 World war - interesting and extensive lot registration label of the army postal service from the II. World war packed in a carton with covers and letter pieces. 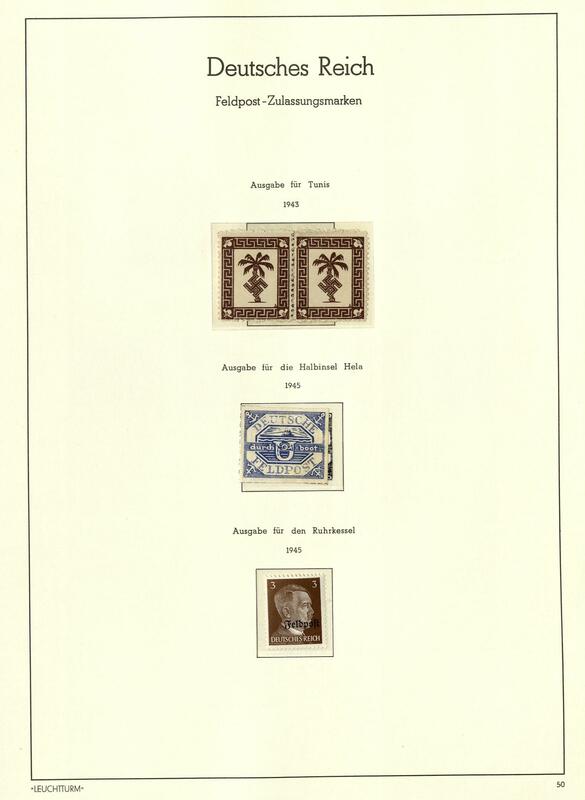 As well interesting material with attractive documents and so on. In this multiplicity rare offered! 1429 ✉ German army postal service II. 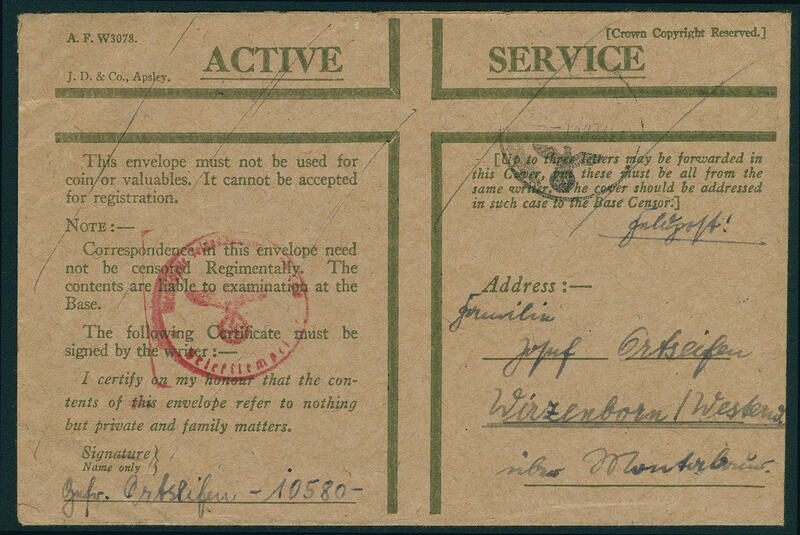 World war - interesting and extensive inventory from covers and cards packed in a carton. As well much attractive material, very specialized. 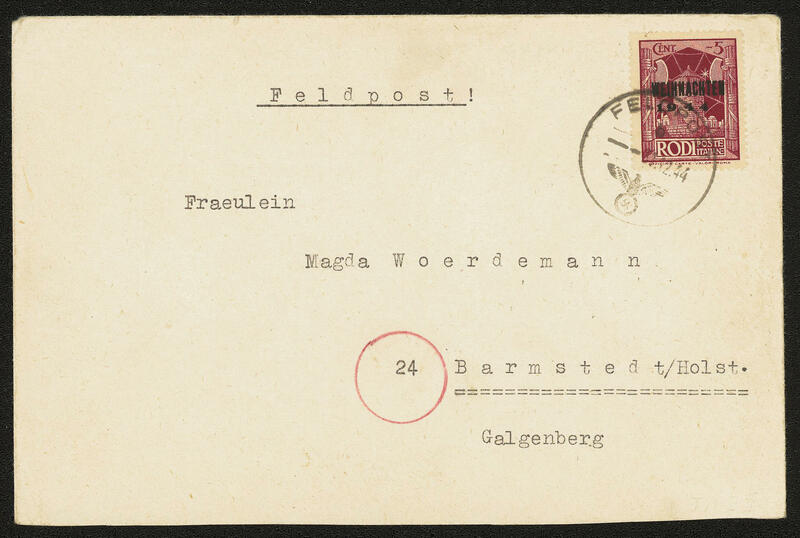 With also approximate 70 letters from captain Stegelmann, mostly with contents, numerous postal stationery 15 Pfg. 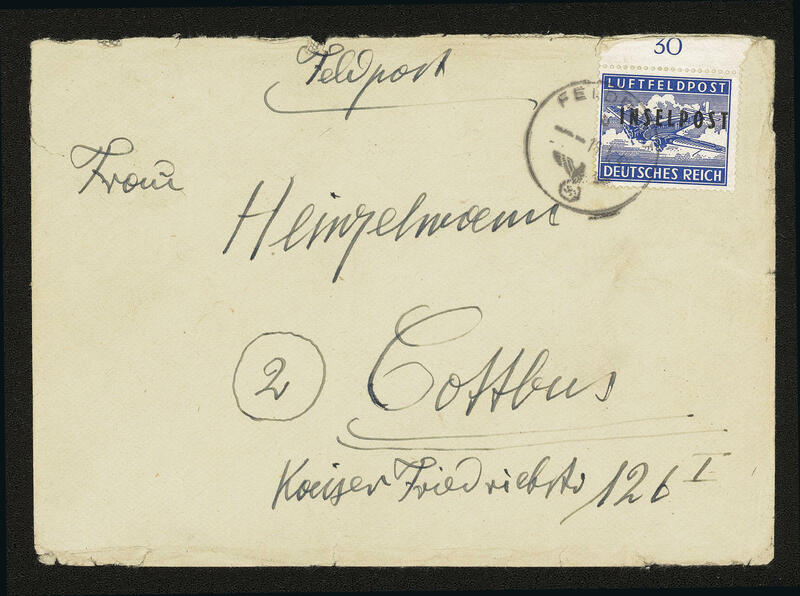 Hindenburg to Belgium sent with censorship stamps, postal stationery 5 Pfg. Hitler with additional franking 30 Pfg. 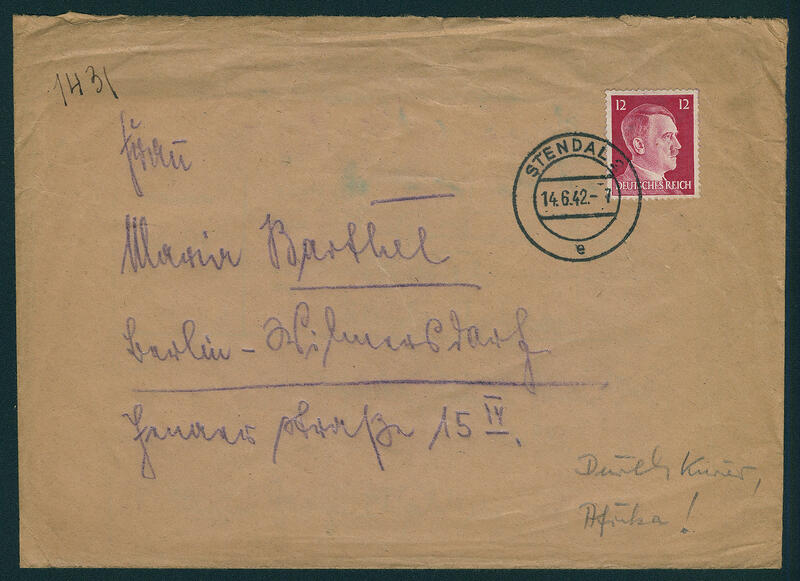 As registered postcard to Belgium, air fieldpost and so on. A great treasure trove for specialists! 1433 ✉ German army postal service I. 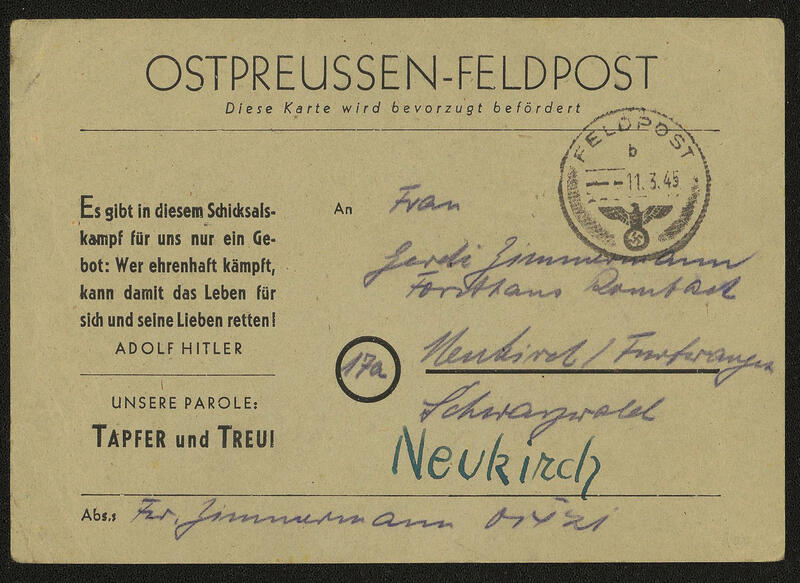 World war - interesting lot from approximate 800 cards, all genuine postally used packed in a carton. Thereby many interesting examples, all picture postcards. Many townscapes, various cancellations and so on. Multilateral treasure trove for specialists! 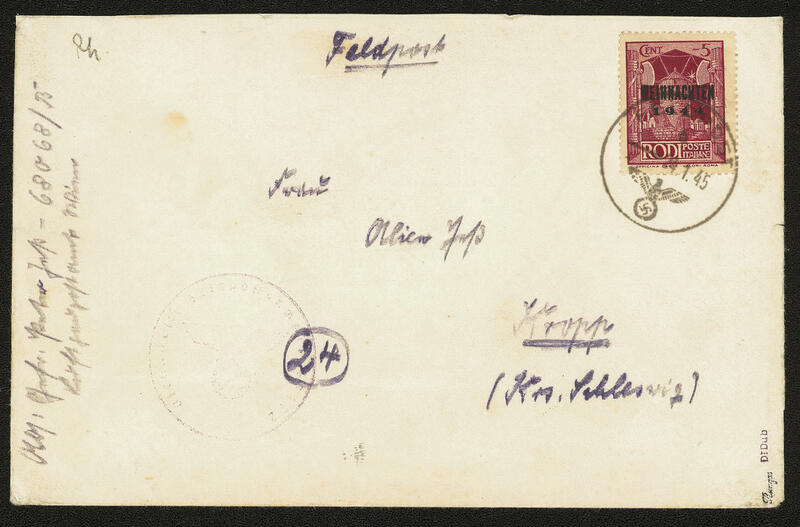 2284 ✉ German army postal service - rich collection from fieldpost letters and -cards from the I. And II. World war in three albums accommodated. 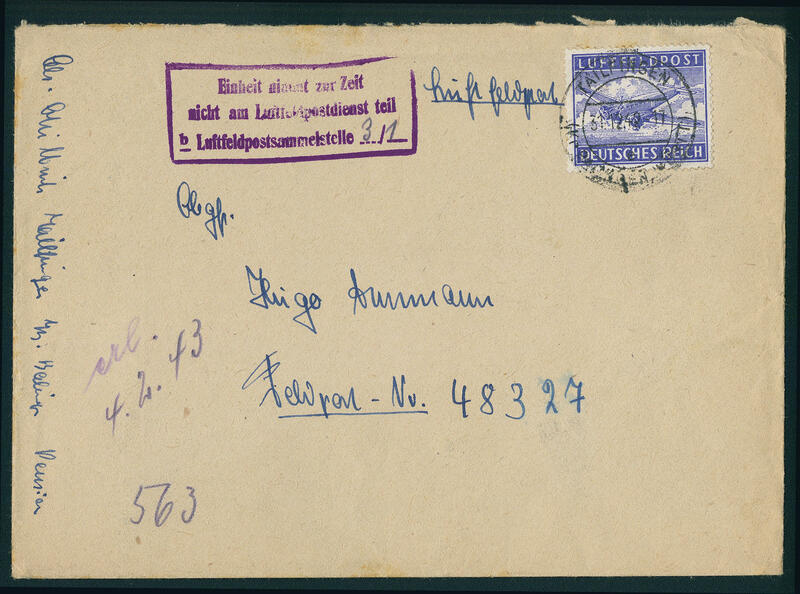 As well numerous attractive documents, interesting cancellations, many picture postcards, also prisoner of war mail and so on. An extensive object! 2367 ✉ German army postal service II. 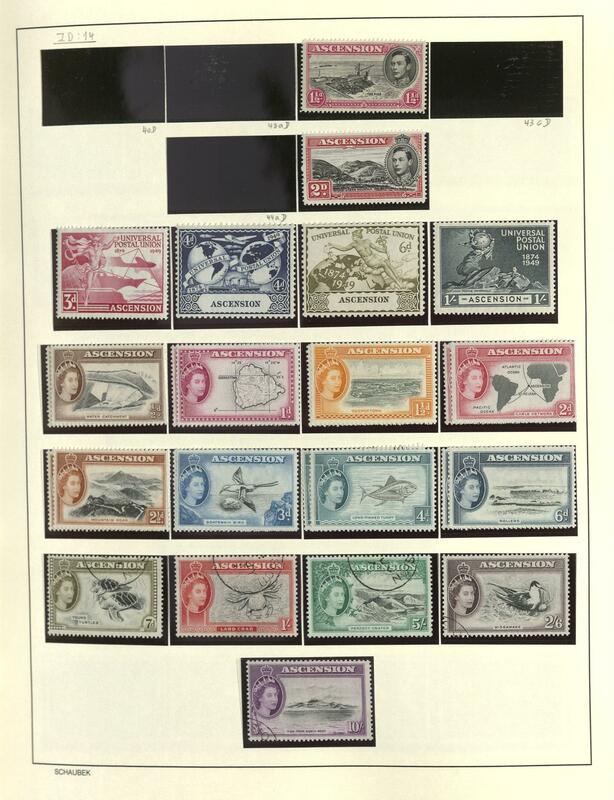 World war - very interesting and extraordinary collection from approximate 290 air fieldpost letters with the corresponding admission stamp in three letter albums accommodated. Thereby many interesting documents with single- and multiple franking, different units of troops, documents homeland - front and front-homeland, whereby the various documents were often precisely determined. 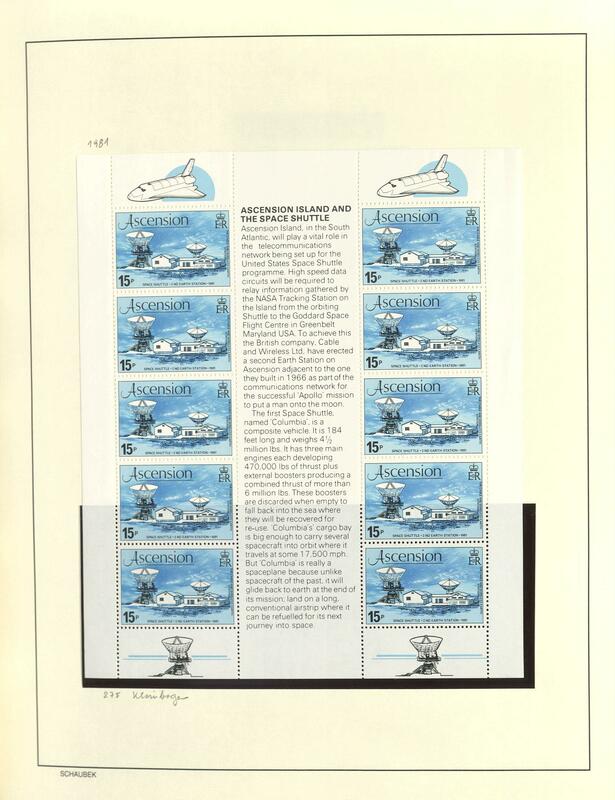 Also numerous margin copies and corners of the sheet the field postal service airmail stamp are on covers available. An extraordinary object! 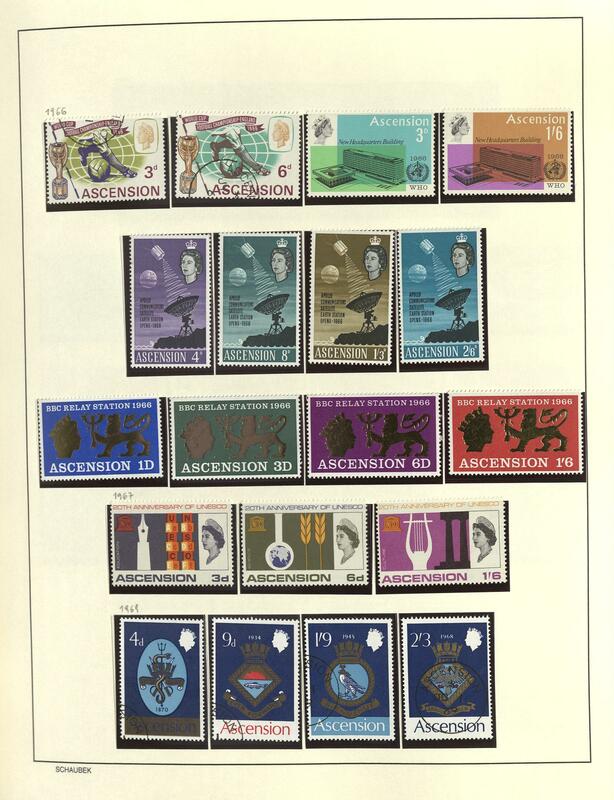 1250 / /⊙ ASCENSION - 1922 / 78, nice collection on Schaubek pages, mainly mint never hinged respectively unused formed, all lightly cancelled, also the postage stamps set 1922 complete unused, postal stamps 1924 except for the cheap 5 P. Complete unused, Throne anniversary 1935 unused, postage stamps set 1938 perforated K13 complete unused, as well also the 5 and 10 Sh. 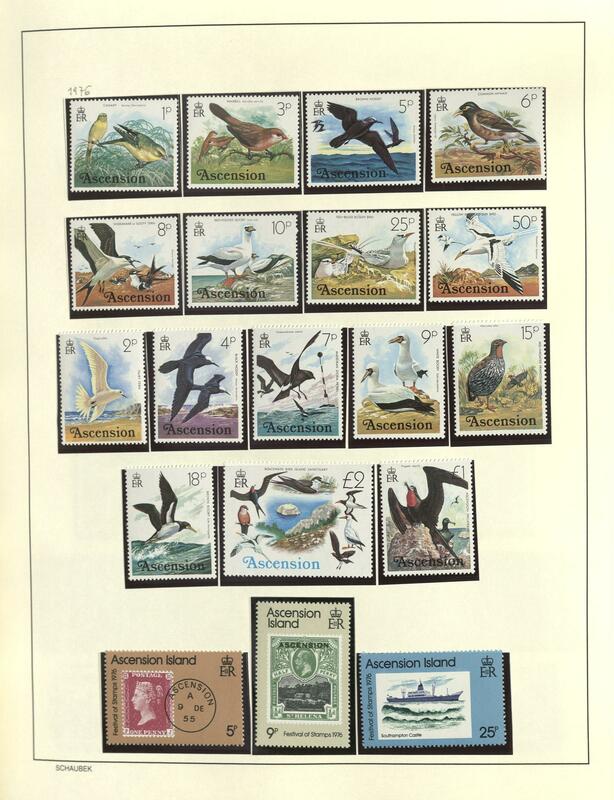 Perforated K13 ½ unused, silver wedding 1948 mint never hinged, postal stamps 1956 used, seabirds 1963 mint never hinged, as well further special- and commemorative sets, souvenir sheets and so on. A beautiful object! 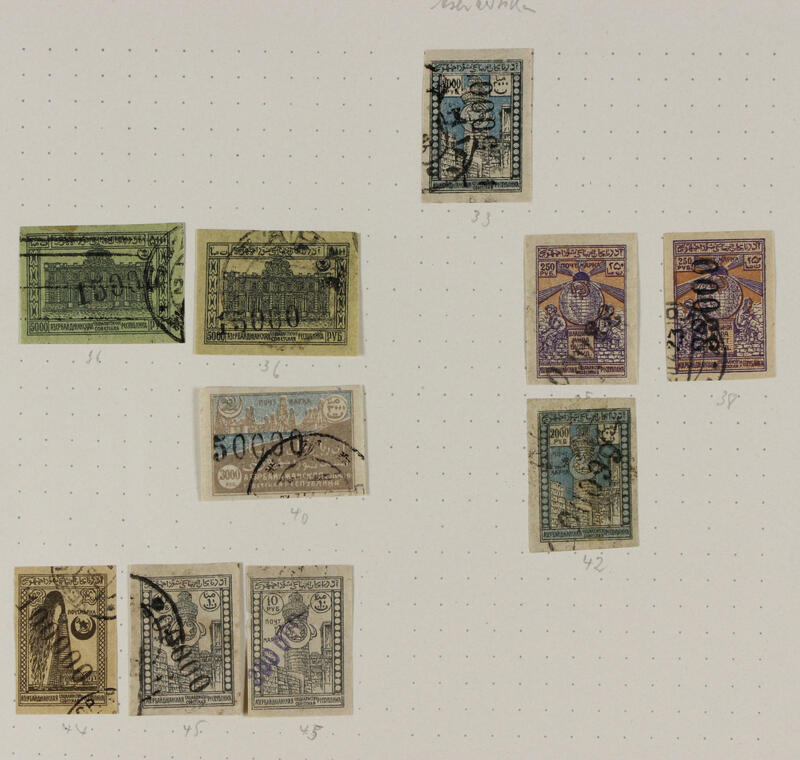 2414A ⊙/ Azerbaijan - 1919 / 23, interesting old collection on Schaubek pages with numerous different values, as well a delightful part overprint issues. Rare in this form offered! 197 x Asia - extensive inventory packed in a carton with a lot of material on stock cards, in bags and so on. 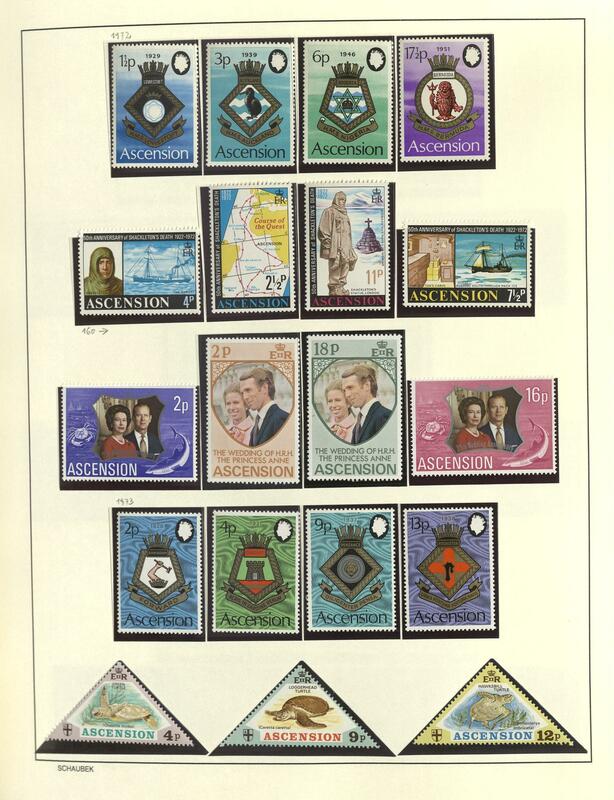 Including older issues, special- and commemorative values, souvenir sheets, beautiful subjects and so on. Treasure trove! 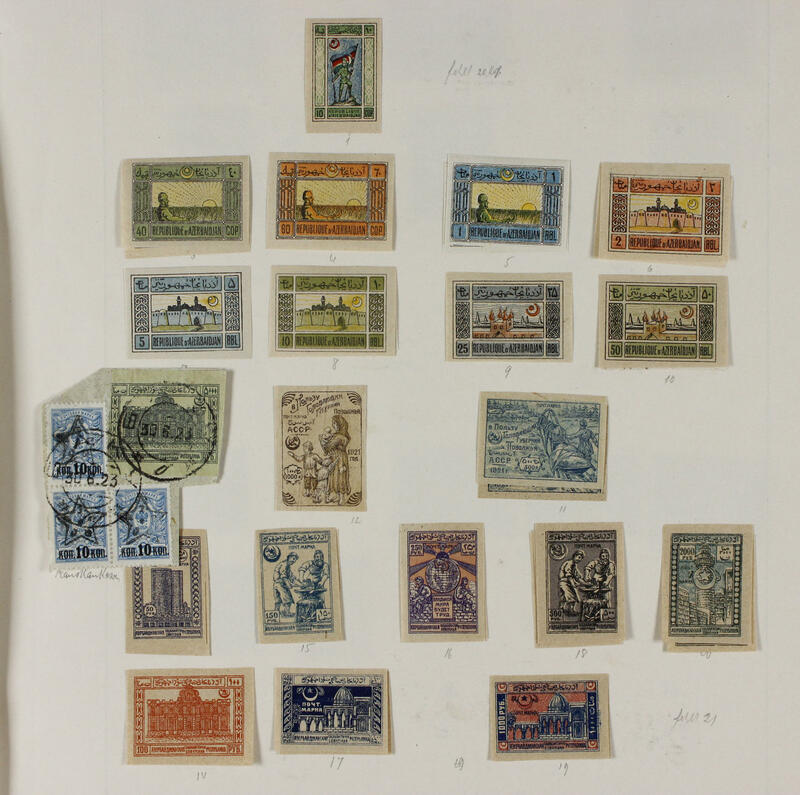 199 ✉ Asia - very interesting and extensive inventory from approximate 400 covers and cards with many attractive documents, as well Thailand with airmail covers from the thirties, Iraq, Persia, Malaya and further interesting areas. A versatile treasure trove!